Some of you might have noticed a new badge on my blog, the A-Z April Blogging Challenge. For April I'm going to blog, every day, except Sunday, using the letters of the alphabet. Friday April 1 is the start and the letter is A. This will continue through the month to Z. As it's name implies to will be a challenge to find something with that different letters, but hey, that's the fun of it! I'm not going to do a theme, as such, mine will be a 'Mixed Bag' of different things that catch my eye and that I want to share. 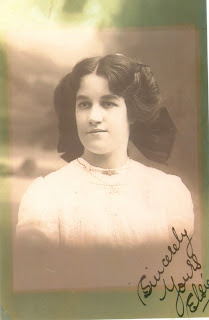 Sometimes old photos, sometimes a book review, family history etc. I hope that you will enjoy my challenge and maybe next year take part as well. Hello Lilian, I’ve just called in from We are genealogy bloggers and wanted to say how much I’ve enjoyed reading your posts. I started my blog (For travelling the bride wore) http://flitneyfamily.blogspot.co.uk/ in a rush back in 2014 and was enjoying it immensely until a seven-week visit from family stopped me in my tracks. 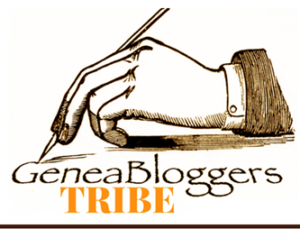 Since then I’ve been unable to pick it up, but I hope joining We are genealogy bloggers and visiting other blogs will inspire me. I have another blog at marchhousebookscom.blogspot.co.uk/ I went right back to that after the New Year so have no idea why I’m finding the family one so difficult. PS Good luck with the A to Z challenge. A very good blog on why we do genealogy.